Plays Thursday, September 22 at 8:00 PM. Liberty Smith is the perfect running mate. She’s American as apple pie, sings like an angel, and is the daughter of a prominent “family values” preacher - exactly what a floundering presidential campaign needs to energize its conservative base and rally the faithful. But when political novice Liberty falls for her (female) spin doctor, it's a cable news catastrophe. Now Liberty must choose between the life she's known, and the love she's dreamed of, with all of America watching. 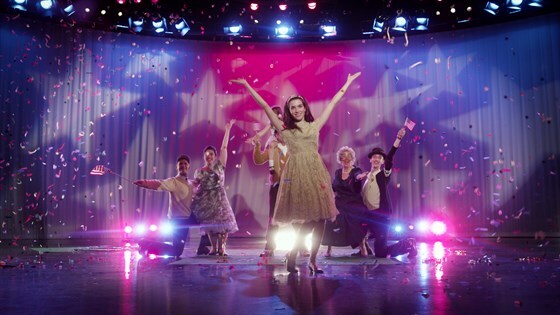 This new movie-musical by composer/director Andy Kirshner, professor at UM, was shot entirely in Southeast Michigan, including many locations on the U-M Ann Arbor campus. Sponsored by the Stamps School of Art and Design, The School of Music, Theatre & Dance, the Institute for Research on Women and Gender, The Spectrum Center, The Institute for the Humanities, The School of Information, The Department of Performing Arts and Technology, and Comerica Bank.